Get ‘Pro’ with Cabot Stains. Wood is an excellent material to work with. It is an apt medium which can be used to create art and other home projects. It is used for traditional and contemporary styles of sculpture, furniture, decoration and craft. It renders it usefulness to create Cabinets, doors, furniture and musical instruments. Whatever be the project you pick to carve out of your wood, one cannot guarantee its longevity as it is prone to being affected by water rot, dry rot, fire and insects. A permanent protection on your woodwork allows it to last longer so that the beauty of the woodwork can be appreciated for times to come. The durability of the woodwork makes it all the more invaluable. Adding color and texture to the woodwork breathes life into it. The features can be highlighted making the character of the wood come to life. Hence, providing an excellent wood stain and finish, that will also protect your work, is a task you need to consider before you set out to display your work. Wood stains are designed to provide a decorative finish to bring forth the essence of your wood work, whilst protecting the wooden surfaces. Get the best brands of wood stain to ensure you have the right product to beautify your woodwork. One such popular Wood Stain is the Cabot Stain. Any wood stain that you select from the Cabot range assures long lasting enriched beauty of your woodwork. They are premium quality formulated with ColorFast fade resistant formula. Your woodwork will last long and look enchanting through the years. Several online store provides Cabot wood stains for: Interior Finishes, Deck Finishes, Siding and Fence Staining, Surface Preparation and Colorants. Different wood works have different needs of finish and for Cabot, the finishes include Solid finish, Semi solid finish, Semi-Transparent finish, Natural finish, Translucent Wood Toned Finish, Specialty Finish. Interior Wood Stains work deep into the wood surfaces to enhance the natural beauty, character and texture of natural grain. They have deep-penetrating tung oil formula which is the main reason for its ultimate color control. It dries to a beautiful natural finish. 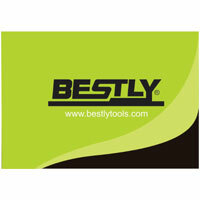 It is to be used on unfinished wooden surfaces of doors, cabinets, furniture and floors. The attractive property of Deck Finish wood stains is its water repellency, which prevents water rot providing maximum durability. The 3-way oil protection penetrates deep inside the wood to provide natural wood depth and grain. The pigments involved are trans-oxides ensuring never ending UV protection. Siding and Fence Staining provides maximum UV protection and excellent water repellent capabilities. Proper application of the stain will ensure no cracks; peels or blisters are formed on the wooden surface. But, they cannot be used for interior finishes. Proper surface preparation serves as the key to best finish. The wood work can become marred if the wood surface is poorly prepared. A well prepared wooden surface will accept the stain properly, providing a beautiful finish. Surface preparation products renew the wood. The ones for interior are water based: they are color sealers and prevent yellowing and the ones for exterior are acrylic based, solvent based or oil based and used for removing tannin bleed and rust stains, moulds and dirt and oil finishes. Chose your stains wisely to bring out the best in your wood. Although wood surfaces are hard to deal with, there are still many people who opt to use wood as the major material for various products and items. Woods have this natural appeal and exquisite beauty that can be really useful especially for those who want to increase the aesthetic value of their house or of their respective commercial establishments. However, a wood surface left with nothing can be really dull. In addition, it can also be prone to damages. As such, there is a need to use a special product the cabot oil. The cabot oil is used to bring out the natural beauty of any wood surface as well as providing a hard wearing finish. Is There a Need for a Cabot Oil? For those who do not know much about cabot oil, they would ask if there is really a need to have this product. After all, most people would want to avoid incurring additional costs. Cabot oil serves a lot of purpose. Firstly, you can use this for restoration. If you have any woodworks or furniture pieces along with other projects made of wood and you notice that there are some minor damages then you can definitely use the cabot oil to restore its previous natural wood properties. Another use of cabot oil is that it can easily bring out the natural beauty of any wood. We know that many people prefer to use old woods for various products and items. However, this is not always possible. To fasten the ageing process of these woods, customers use cabot oil. Without this special kind of oil, you will have to wait for years before you can finally see the natural beauty of any wood surface. When these wood made products undergo the natural process, they are prone to discoloration and darkening.